Gayaneh and Spartacus. Evgeny Svetlanov, Bolshoi Theatre Orchestra. Brilliant Classics 9256. 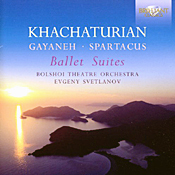 Much of the music of Soviet-Armenian composer Aram Khachaturian (1903-1978) has always struck me as rather noisy and bombastic, and that includes even his most-popular pieces like the ballets Gayaneh and Spartacus, which on this disc we see represented by a pair of suites. In their entirety the ballets can be a little tiring, so it's more common that we see just highlights such as these. Khachaturian became one of the giants of music in the Soviet Union, yet like so many of his contemporaries, the Communist Party did not always favor his works. His Cello Concerto of 1946 was so out of line with the traditional guidelines of the Party that shortly thereafter they ousted him from the Composers' Union over it and other things, and it took him a while to regain their favor. Turns out, the Party's official disapproval so affected him, he later said he considered giving up composing and starting some new profession instead. In any case, his first attempt at a ballet, Shchastye ("Happiness"), in 1939 did not go particularly well so he reworked it into the ballet represented here, Gayaneh, completed in 1942. It's the story of a young Armenian farm woman named Gayaneh. In the original version, Khachaturian had both a love angle and an Armenian national angle, but he later figured it best to go with the just the romance, adding local color with Armenian and Central Asian folk tunes. Because the music celebrated the friendships among the varied peoples of the Soviet Union, the Party leaders liked it. Afterwards, he finished Spartacus in 1954, the Soviet leaders pleased that he had chosen a "hero of the Proletariat," the Roman slave who led an uprising against the oppressive Roman Empire. Evgeny Svetlanov (1928-2002) was a Russian conductor and composer who became almost as famous as Khachaturian; in fact, he, too, got into trouble with the government, only in Svetlanov's case it was because they said he wasn't spending enough time with the state-sponsored orchestra he led, and they fired him. The conductor made the present recording with the Bolshoi Theatre Orchestra just a year or two before he died, and one couldn't ask for more authoritative performances. However, as a comparison, I used the EMI recording that Aram Khachaturian himself made with the LSO in 1977, coincidentally just a year or so before he, too, died. Svetlanov, as expected being the old hand he was at such things, holds his own with the composer quite nicely. Indeed, I found Svetlanov more lyrical than Khachaturian in the slower movements and almost as intense in the faster ones. What's more, even though EMI produced a recording of near-demonstration quality, the present Brilliant Classics disc holds its own as well. Anyway, Svetlanov performs suites from both ballets, Gayaneh containing ten selections, Spartacus five. The composer himself extracted various suites from the ballets, and conductors have been making their own selections for many years now. This one contains most of the music we would easily recognize. In Gayaneh, the stands-outs include the Lullaby because, of course, it's anything but a traditional "lullaby"; the Adagio, famously used by director Stanley Kubrick in his movie 2001: A Space Odyssey; Lezghinka and Dance with the Tambourines, with their scintillating rhythms; and, naturally, the Sabre Dance, a genuine show-stopper. Interestingly, Khachaturian later said he never cared for the Sabre Dance, writing it in a single evening and considering it something of a joke. While Spartacus doesn't have quite as much recognizable music in it as that of Gayaneh, it does contain much good material. It may seem surprising but the Spartacus selections offered here are actually more serene than the Gayaneh pieces. Aegina's Dance is especially entrancing, and, again, it's the Adagio that steals the show, beautifully rendered by Svetlanov and his forces. Recorded in January, 2000, in Moscow, the sound is excellent by any standard, as transparent and dynamic as any audiophile could want. While it's a tad close, it's not so close as to be a major detriment to the music, and only the orchestral depth suffers slightly, not sounding quite as deep or as open as one could wish. There's a nicely extended high end involved, some decent bass, and good transient impact all the way around. It's clean, enjoyable sound. The D.C. premiere of Claude Debussy's Martyrdom of St. Sebastian will be presented by the National Philharmonic, conducted by National Philharmonic Chorale Artistic Director Stan Engebretson, on Saturday, May 19 at 8 pm at the Music Center at Strathmore. The concert will conclude the May National Philharmonic and Strathmore celebration of the music of Claude Debussy, marking the 150th anniversary of the birth of one of the most important French composers. The concert will feature the National Philharmonic's nearly 200 voice all-volunteer Chorale, as well as soloists Audrey Luna (soprano); Rosa Lamoreaux (soprano); Linda Maguire (mezzo-soprano); and narrator Eliot Pfanstiehl, founder and CEO of Strathmore. The martyr St. Sebastian's life, death, and miracles have inspired painters and sculptors throughout history and in 1911, it captured the imagination of Debussy in the form of a text by Gabriele d'Annunzio. The work they created together retells the soldier-saint's story as a medieval mystery play in five tableaux or movements - The Court of Lilies, The Magic Chamber, The Council of False Gods, The Wounded Laurel and Paradise. Reviewers have praised the sheer beauty of the music, with its evocation of ecstasy and mysticism. Describing his intentions with this piece, Debussy wrote, ". . . when in the last act, the Saint mounts to paradise, I think I set down what I felt at the thought of soaring to the heavens!" Audiences agreed. The piece debuted in Paris in 1912 to great critical acclaim and packed houses – one audience member, Arturo Toscanini, made immediate arrangements to take it to La Scala for its Italian premiere, where it also triumphed. Soprano Audrey Luna, whom Opera News says "has power and a blazing coloratura facility that most lyric sopranos can only dream of," is fast emerging as one of the country's brightest young artists. Ms. Luna is the 2009 winner of the Loren L. Zachary Vocal Competition and received the top prize awarded in the 2009 Renata Tebaldi International Voice Competition. She has also been awarded first place in the Terzo Concorso Lirico Internazionale "Alfredo Giacomotti," the Caruso International Voice Competition and Eleanor Lieber Awards,and has garnered prizes from the George London Foundation, the José Iturbi International Voice Competition, Elardo International Opera Competition, the Liederkranz Foundation, the Licia Albanese – Puccini Foundation, and the Metropolitan Opera National Council Auditions. 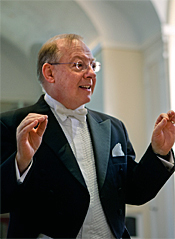 Narrator Eliot Pfanstiehl is the CEO of Strathmore Hall Foundation Inc., which operates and presents programming at Strathmore, a multi-disciplinary arts center, including the Music Center and the Mansion at Strathmore, in Montgomery County, Maryland. 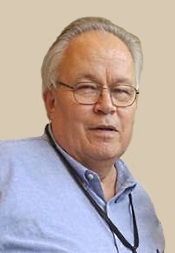 Mr. Pfanstiehl has held this position since the foundation's inception in 1983. In demand throughout the United States and Europe, Dr. Stan Engebretson has led choirs in Venice's Cathedral of St. Mark and taught in Cologne, Trier, St. Moritz and Barcelona. He has studied with the great masters of choral music, including Robert Shaw, Gregg Smith, Richard Westenburg, Roger Wagner and Eric Ericson. After attending the University of North Dakota and earning his Doctorate from Stanford University, Engebretson taught at the University of Texas and the University of Minnesota. He also was the Artistic Director of the Midland-Odessa Symphony Chorale and the Associate Conductor of the Minnesota Chorale. A free pre-concert lecture will be offered at 6:45 pm on Saturday, May 19 in the Concert Hall at the Music Center at Strathmore. To purchase tickets to the May 19 Martyrdom of St. Sebastian concert, please visit www.nationalphilharmonic.org or call the Strathmore box office at (301) 581-5100. Tickets to the National Philharmonic concerts are $28-$81; kids 7-17 are FREE through the ALL KIDS, ALL FREE, ALL THE TIME program (sponsored by The Gazette). ALL KIDS tickets must be purchased in person or by phone. Parking is complimentary. Ludovic Morlot and orchestra to Give world premiere in February 2013. The Seattle Symphony is thrilled to announce a new commission by renowned American composer Elliott Carter. The new work, a 12-minute long orchestral piece titled Instances, will receive its world premiere at the Orchestra's Wyckoff Masterworks Season performances on February 7, 9 and 10, 2013, conducted by Music Director Ludovic Morlot. Carter and Morlot share a friendship forged during Morlot's tenure as Assistant Conductor with the Boston Symphony Orchestra; the eminent composer is writing this piece, commissioned by the Seattle Symphony, as a special gift to Morlot in his new role as the Seattle Symphony's Music Director. "It is an enormous honor to be involved with the creation of this jewel of a piece by Elliott Carter," said Morlot. "Since my first meeting with him in Boston almost a decade ago, my admiration for his music and his extraordinary spirit has grown incessantly. That he would write a piece for me and the Seattle Symphony to celebrate the start of our relationship together is an absolute privilege. I cannot wait to share this music and this honor with our musicians and audiences at Benaroya Hall." 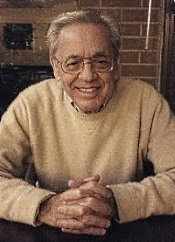 Twice winner of the Pulitzer Prize, the first composer to receive the United States National Medal of Arts, one of the few composers ever awarded Germany's Ernst Von Siemens Music Prize, and in 1988 made "Commandeur dans l'Ordre des Arts et des Lettres" by the Government of France, Elliott Carter is internationally recognized as one of the leading American voices of the classical music tradition. He recently received the Prince Pierre Foundation Music Award and is one of only a handful of living composers elected to the Classical Music Hall of Fame. Carter was recognized by the Pulitzer Prize Committee for the first time in 1960 for his groundbreaking String Quartet No. 2. Igor Stravinsky hailed Carter's Double Concerto for harpsichord, piano, and two chamber orchestras (1961) and Piano Concerto (1967) as "masterpieces." Of his creative output exceeding 130 works, Carter has composed more than 40 pieces in the past decade alone. He remains extraordinarily prolific at over 100 years of age; his recent works include the Flute Concerto (2008), premiered by Emmanuel Pahud, flute, and the International Chamber Music Ensemble, led by Daniel Barenboim; What are Years, a 2010 joint commission of the Aldeburgh and Tanglewood Festivals; Tintinabulation (2008), premiered in 2008 by the New England Conservatory Percussion Ensemble at Jordan Hall in Boston; and the Concertino for Bass Clarinet (2009), premiered in Toronto in December 2010 by Virgil Blackwell and the New Music Concerts Ensemble. An all-Carter concert in honor of the composer's 103rd birthday in December 2011 featured the world premieres of String Trio (2011) and A Sunbeam's Architecture (2010), as well as two surprise pieces composed in the month preceding the concert: Rigmarole and Mnemosyné. The Seattle Symphony, now presenting its 109th season, has gained international prominence with more than 140 recordings, twelve GRAMMY nominations and two Emmys. The 2011–2012 season is the inaugural year for Music Director Ludovic Morlot, who was appointed to the position in 2010. The Seattle Symphony performs in one of the world's finest concert venues — the acoustically superb Benaroya Hall in downtown Seattle — and is recognized for its innovative programming, devotion to the classics, and extensive recording catalog. From September through July, the Symphony is heard live by more than 315,000 people. For more information on the Seattle Symphony, visit www.seattlesymphony.org. May Mansion concerts honor 150th anniversary of cardinal French composer's birth. Strathmore's Music in the Mansion concert series honors the 150th anniversary of the birth of integral French composer Claude Debussy with two all-Debussy May concerts, featuring acclaimed pianist Katie Mahan and members of the National Philharmonic. Mahan will perform on Thursday, May 10, 2012 and the National Philharmonic musicians will pay tribute to Debussy on Thursday, May 17, 2012. Both concerts will be held at 7:30 p.m. and will feature pre-performance lectures beginning at 6:30 p.m. with WETA's David Ginder. The performances are part of the National Philharmonic's Debussy festival, with Music Center performances including an All Debussy concert on Saturday, May 5, 2012 with pianist Brian Ganz and a Washington, D.C. premiere of the composer's large choral work, The Martyrdom of St. Sebastian on Saturday, May 19, 2012. For more information or to purchase tickets, call (301) 581-5100 or visit www.strathmore.org. Music in the Mansion is sponsored by Asbury Methodist Village. An acclaimed interpreter of Claude Debussy, American pianist Kate Mahan has won international admiration for her delivery of his multi-layered, complex music. Praised for her extraordinary musical sensitivity, Mahan creates, "Numerous nuances of sound...sometimes strong, sometimes astoundingly tender and intimate" (Neue Ruhr Zeitung). Mahan made her orchestral debut in 1999 with the Breckenridge Symphony, and has subsequently appeared with such celebrated conductors as Jiri Belohlavek, Marin Alsop and Robert Lehrbaumer. Mahan's 2011-12 season includes recital appearances around the world, as well as a series of all-Debussy recitals at the Roerich Museum in New York City; in Greenville, South Carolina; and at Strathmore. Mahan is a Steinway artist. Mahan's all-Debussy program will include Deux Arabesques, Estampes, L'isle joyeuse and Préludes Livre II. Strathmore and the National Philharmonic gather like-minded fans and virtuoso partners for this intimate performance of Debussy's seminal works— Piano Trio in G Major, Sonata for Cello and Piano in D minor, Sonata for Violin and Piano in G minor and the String Quartet in G minor. Performing in the concert are violinists Jody Gatwood and Claudia Chudacoff, violist Julius Wirth, cellist Lori Barnet and pianist Kathryn Brake. Strathmore is an arts presenter and cultural destination that nurtures art, artists and community through creative and diverse programming of the highest quality. The Mansion at Strathmore is located at 10701 Rockville Pike, North Bethesda, MD, one half-mile north of the Capital Beltway and immediately adjacent to the Grosvenor-Strathmore station on Metro's Red Line. For further information or tickets, call (301) 581-5100 or visit www.strathmore.org. Strathmore Music in the Mansion Presents Katie Mahan, Thursday, May 10, 2012, 7:30 p.m.
Pre-concert lecture with WETA's David Ginder at 6:30 p.m.
National Philharmonic and Friends, Thursday, May 17, 2012, 7:30 p.m.
For additional information or to purchase tickets visit www.strathmore.org. The festival dedicated to bringing adventurous programing to New York wants to hear your fantasy program. Spring For Music, an annual festival at Carnegie Hall May 7 through 12, firmly believes that great ideas and great concert programs come from open dialogue and creative collaboration. Orchestras for Spring For Music are chosen based on the strength of the programs they submit. Last fall, we posted programs from orchestras wanting to be considered for the festival and more than 60,000 readers read them and cast 20,000 comments and votes. That is why we want to hear what you think makes for an outstanding orchestra program. Spring For Music's Fantasy Program contest allows users to post a hypothetical program for orchestra online. Just like the Spring For Music orchestras, participants will make a case for why their program is a great one. Visitors to the Spring For Music Web site can comment and vote fantasy programs up and down. The contest opens today, April 23, and runs for two weeks. When it closes on May 5, the program that has received the most "up" votes by visitors to the website will be declared the winner. The winner gets two tickets to each of this year's and next year's Spring For Music concerts at Carnegie Hall. Additionally, the winner will be interviewed for the Spring For Music website, and the winning program will be featured by Carnegie Hall and WQXR. After thousands of music lovers voiced their opinion, the 2011 Fantasy Program contest winner was New York-based cellist, Peter Sachon. His program, "Eternal Stories", was an imagined night of music engaging with the character of superman as seen through different cultures. Richard Strauss' "Thus Spoke Zarathustra, Op. 30" was interestingly paired with John Williams's "Superman". Sachon later discussed his winning program on Performance Today, one of America's most popular classical music radio programs. "After I found out that I'd passed on to the next round in this competition this morning, I called my parents to let them know, and to tell them what the next question I was answering was. Being a very independent thinker, I didn't want their input, but my mom, being a painter, sculptor and potter herself, couldn't help but weigh in just before she hung up, with, "Don't forget, the arts are irrepressible!!" She has a point. The arts will never need saving, because throughout history, we have proven that we need creativity in order to survive our own humanity and to help understand our own mortality. Art seems to stick around as part of the human condition, and no matter how the society evolves or devolves, creativity remains. Art is irrepressible - we know because it has been created in even the most horrendous and repressed conditions, like the concentration camp in Terezin, whose prisoners produced innumerable pieces of art, including a complete opera; Der Kaiser von Atlantis, which is still being performed in opera houses today. Art is not something that can ever be repressed because within every human being exists the ability to create. We don't need to save art because art saves us. This, at least, can give us some hope for the future." Spring For Music is an annual concentrated festival of concerts by North American symphony and chamber orchestras presented at Carnegie Hall. The concerts will be held May 7-12 and tickets are only $25. Through a unique marketing structure involving shared costs, shared risks, and generous donations, the festival allows participating orchestras to showcase their artistic philosophies through distinctive and adventurous programming in one of the world's most competitive musical environments. This festival is meant to start a conversation about programming. What makes one program better than another? How do pieces on a program interact - some brilliantly, some less so? What makes the difference? Spring For Music is an experiment; the idea is to take risks, explore new territory, and to get people involved. Tickets are available at the Carnegie Hall box office, through CarnegieCharge, and on the Carnegie Hall Web site. Also, Suite Pastorale; Fete Polonaise; Gwendoline Overture; Danse Slave; Joyeuse Marche; Bourree Fantasque; Roussel: Suite in F. Paul Paray, Detroit Symphony Orchestra. Mercury SACD 475 6183. Better late than never. My catching up on great records, I mean. I missed this classic recording when it first appeared on a Mercury Living Presence LP in 1960, as well as when Philips/Mercury later released it on CD in the early Nineties. There was probably even a Mercury Golden Import in there I missed, too; I don't know. In any case, it was an unfortunate loss on my part, but a wonderful catching up. Paul Paray's performance of Espana is among the most joyous, infectiously exciting, and spontaneous I think I have ever heard. The playing is great; the interpretation is great; I think I'm in love. Seriously, this is not only a well-performed rendition of a popular warhorse, it's one of the most delightfully imaginative renderings you'll find as well. My previous favorites, a 1957 recording by Ataulfo Argenta and the LSO on Decca (and remastered on LIM) and a 1984 digital recording by Armin Jordan on Erato, are still by no means entirely eclipsed, but Paray brings just as much sparkle to the occasion, maybe more. Combine the excellence of Paray's Espana with the distinction of the companion pieces, and you get a delectable combination. Moreover, Paray, as always, gets a superb production from recording director Wilma Cozart and chief engineer C. Robert Fine, the various selections made between 1957-1959 in the Cass Technical High School gymnasium and Old Orchestra Hall, felicitous spots for recording if ever there were any. About the only area in which the Erato disc excels the Mercury is in its depth of field, where there is slightly greater dimensionality to Jordan's orchestra, plus a touch more warmth. The Mercury engineers more closely miked their recording, and while it displays a little less depth, it also has more midrange transparency and openness. (To be fair, however, the LIM remastering of Argenta sounds remarkable, too, with enormous dynamics, although it costs an arm and a leg more.) In addition, the Mercury contains everything else found on the Erato issue, with the addition of the Roussel Suite in F, making the Mercury a winning deal. What's more, the folks at Decca/Mercury offer the recording on a hybrid SACD, meaning in this case that you can listen to it in its original two-channel stereo (played either on a regular CD player or on an SACD player) and a three-channel version (SACD player only), which is the way the engineers originally recorded the piece before releasing it in stereo only. It's a remarkable recording, no matter how you look at (or listen to) it. 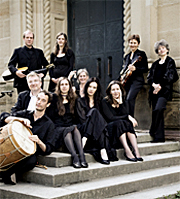 Dominique Labelle, Susanne Ryden, Cecile van de Sant, Michael Slattery, Philip Cutlip, Corey McKern; Nicholas McGegan, Philharmonia Baroque Orchestra and Philharmonia Chorale. 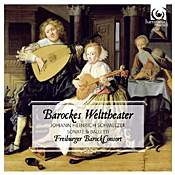 Philharmonia Baroque Productions PBP-04 (2-disc set). Nobody does baroque better than Nicholas McGegan and his Philharmonia Baroque Orchestra. And nobody does Handel better than McGegan and the PBO, either. So, there's no wonder the team do such a good job with Handel's Atalanta. George Frideric Handel (1685-1759) wrote the three-act opera Atalanta in 1736, basing it on stories of the legendary Greek athlete of the same name. Although you often hear singers perform the number "Care Selve" from the work, hardly anybody performs, let alone records, the complete opera these days, and, in fact, the only other stereo recording of it I'm aware of is by McGegan himself, issued by Hungariton in the early Nineties. I haven't heard it, but I can't imagine its being any better than this new one, which the Philharmonia Baroque have released on their own label. I doubt that anybody in our own time or in Handel's came to Atalanta for its story. Suffice it to say that the plot is rather slender. It's a pastoral love story set in ancient Greece and deals with a young man, King Meleagro (Susanne Ryden), chasing a young woman, the Princess Atalanta (Dominique Labelle) of Arcadia. But to complicate things, as operas and plays must do, he's pretending to be a shepherd and she a shepherdess, and neither thinks the other good enough. Then, to complicate matters further, there is another couple lurking about, a real shepherd and shepherdess. No, folks go to these kinds of shows now as then not for the narrative but for the music, which in this case is charmingly light, graceful, lyrical, and easy to like. Unfortunately, it may be just as easy to forget, and for listeners not used to such things, the Baroque style of music and singing may get a bit monotonous after a while. It doesn't have, for instance, the earthy, robust lustiness of something like Handel's contemporaneous ode Alexander's Feast, which, coincidentally, I had the opportunity to hear live with the PBO and several of the same soloists as here just a few nights after listening to this disc. I vote for Alexander, a much bigger moneymaker for Handel, then and now. The fact is, Atalanta was not a great opera in Handel's day and, naturally, doesn't compare to operas in the later traditions of Mozart, Beethoven, Verdi, or Puccini. With the exception of the aforementioned aria "Care Selve," there are few notable tunes. What's more, almost nothing lasts longer than a few minutes, the number of tracks on each disc--twenty-six and twenty-eight--giving you some idea of how quickly each song comes and goes. This may be a blessing for those listeners with short attention spans, or it may be a curse for those hoping for something more substantial. Nevertheless, Maestro McGegan, an old hand at these things, keeps the production moving along at a healthy clip, the orchestral accompaniment always lively and the singing splendid, especially from Ms. Labelle and Ms. Ryden, although for that matter they all do good work. I would not be going out on a limb declaring this performance second to none in the music. The PBO recorded the performance live in September, 2005, at one of their favorite venues, First Congressional Church in Berkeley, California. If you enjoyed the sound of their critically praised live recordings of Berlioz, Handel, and Haydn, you'll no doubt enjoy this set as well. Personally, I don't care all that much for live recordings, and this one demonstrates why. The sound is slightly bright, forward, and thin, with a bit too spacious an acoustic for my taste. Additionally, we hear background noise from the performers shuffling around on stage and from the audience, who burst into applause after every number as is the usual wont of opera patrons. Still, there is excellent clarity throughout the set, with well-extended highs and plenty of air around the voices and instruments. So, yes, if you enjoy the sonic experience of an all-out live performance, with everything that entails, this one fits the bill. Myself, I'd rather just do with the music. 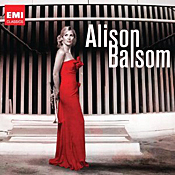 Alison Balsom; various accompanists and ensembles. EMI 509997 31660 2 3. When I heard Alison Balsom's previous album, Seraph, I had to confess that I was not really up on the latest, greatest trumpet players, so I knew nothing about the British trumpet soloist. A little research helped bring me up to date on one of the instrument's leading exponents. Ms. Balsom is a multiple award winner with over half a dozen records to her credit; she was the former principal trumpet of the London Chamber Orchestra; she's a Visiting Professor of Trumpet at the Guildhall School of Music and Drama. And, more important, she's a darn fine trumpet player. For her current album, titled simply Alison Balsom, the folks at her record label, EMI, have gathered together thirteen of her most-popular recordings, making an enjoyable best-of set. The program begins with Argentine composer Astor Piazzolla's Esquala. It's a tango, of course, with a dazzling part for Ms. Balsom and an exciting way to open the show. However, I might as well tell you now the four things I liked least about this enterprise, and they all have to do with EMI's booklet notes. First, the notes provide no details on who is accompanying Ms. Balsom on any of the tracks. In fact, there is no listing anywhere, booklet, cover, or jewel case back, of who's who. Second, there is no information on any of the composers, not even their first names. The album is all Alison Balsom, as though no one else counted or mattered. Third, there are no track timings listed anywhere, so there is no way to know how long anything lasts. And, fourth, the booklet itself folds out like a road map over a foot and a half long, making it very hard to hold, let alone read, and equally hard to fold back up. None of this is any reflection on Ms. Balcom, I'm sure, just shortsightedness (or neglect) on EMI's part. Anyway, after Esquala we hear the Adagio from Marcello's Oboe Concerto in C minor, transcribed for piccolo trumpet. It's very sweet in every way. After that we get even more variety: the traditional tune Shenandoah, which Ms. Balsom plays on flugelhorn with an organ accompaniment. It is quite dignified, and the deep, mellifluous sounds speak volumes about the great landscapes of America. Next, we hear the Adagio from MacMillan's Seraph for Trumpet and String Orchestra, an angelic conversation between the trumpet and the other instruments of the orchestra. Following that is Rachmaninov's familiar Vocalise. This "song without words" is such a popular favorite, I have a disc in my collection devoted just to arrangements of it for different instruments and ensembles. Ms. Balsom's rendition is as affecting as any I've heard, even if the trumpet seems a little harsh for the piece's ethereal melodies. And so it goes, with further works by Messiaen, Bach, Neruda, Debussy, and Lindberg. The only concerto presented in its entirety is Albinoni's Concerto after Sonata da Chiesta in D minor, a piece for oboe that Ms. Balsom transcribed for trumpet after she says she heard trumpeter Maurice Andre play it, and she fell in love with it. It gives her a chance to demonstrate her virtuosity while at the same time showing us her more warmly communicative side. Despite EMI having recorded the tracks over a period of some ten years from 2002-2011, there is a remarkable uniformity of sound involved. All the recordings are smooth and warm, the trumpet ringing out in velvety tones. What I didn't hear, however, was any attempt at ultimate midrange transparency, much of a dynamic impact, and, except in the closing Piazzolla tango, much sense of depth to the orchestral accompaniment. These are recordings clearly meant to highlight the trumpet, placing it first and foremost in our minds. As such, it works fine. Award-winning pianist Brian Ganz and renowned clarinetist Richard Stoltzman perform an All Debussy concert with the National Philharmonic, under the direction of Music Director and Conductor Piotr Gajewski, on Saturday, May 5 at 8 pm at the Music Center at Strathmore. This concert kicks off the May National Philharmonic celebration of the music of Claude Debussy, which includes companion Strathmore-presented events in the Mansion, to mark the 150th anniversary of the birth of one of the most important French composers. The festival includes performances of Debussy's most popular orchestral, chamber and keyboard works as well as a Washington-area premiere of his magnificent large choral work, The Martyrdom of St. Sebastian. The evening begins with Debussy's 1892 L'Après-midi d'un Faune ("The Afternoon of a Faun"), which was inspired by the pastoral poem of the same name, published 16 years earlier by the great Symbolist poet Stéphane Mallarmé. The famous opening flute solo "brought new breath to the art of music," said composer and conductor Pierre Boulez. Next Mr. Ganz performs the vibrant Fantaisie for Piano and Orchestra (1890). Following, Mr. Stoltzman, a two-time Grammy Award winner, plays Debussy's dreamy and melodic Rhapsody for Clarinet and Orchestra. Debussy, who loved the sea, never traveled farther on it than across the English Channel. However, in La Mer, the last piece of the evening, his passion for the ocean is paramount, as his orchestral music gives forth its aura with subtle impressions and exquisite details. 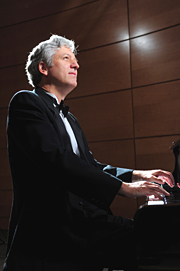 Mr. Ganz is widely regarded as one of the leading pianists of his generation. A laureate of the Marguerite Long Jacques Thibaud and the Queen Elisabeth of Belgium International Piano Competitions, Mr. Ganz has appeared as soloist with such orchestras as the St. Louis Symphony, the St. Petersburg Philharmonic, the National Philharmonic, the Baltimore Symphony, the National Symphony and the City of London Sinfonia, and has performed with such conductors as Leonard Slatkin, Piotr Gajewski, Marin Alsop and Mstislav Rostropovich. Mr. Ganz is Artist-in-Residence at St. Mary's College of Maryland and is on the piano faculty of the Peabody Conservatory of Music. He lives in Annapolis. Clarinetist Richard Stoltzman's virtuosity, musicianship and sheer personal magnetism have made him one of today's most sought-after concert artists. As a soloist with more than a hundred orchestras, a captivating recitalist and chamber music performer, an innovative jazz artist, and as a prolific recording artist, the two-time Grammy Award winner has defied categorization, dazzling critics and audiences alike throughout many musical genres. In 1986, he became the first wind player to be awarded the Avery Fisher Prize. In 2006, he was awarded the prestigious Sanford Medal by the Yale School of Music. His talents as a jazz performer as well as a classical artist have been heard far beyond his annual tours. He has performed or recorded with such jazz and pop greats as Gary Burton, the Canadian Brass, Chick Corea, Judy Collins, Eddie Gomez, Keith Jarrett, the King's Singers, George Shearing, Wayne Shorter, Mel Tormé, and Spyro Gyra founder Jeremy Wall. 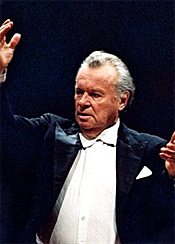 National Philharmonic Music Director & Conductor Piotr Gajewski is widely credited with building the Philharmonic to its present status as one of the most respected ensembles of its kind in the region. In addition to his appearances with the National Philharmonic, Maestro Gajewski is much in demand as a guest conductor. In recent years, he has appeared with most of the major orchestras in his native Poland, as well as the Royal Liverpool Philharmonic in England, the Karlovy Vary Symphony in the Czech Republic, the Okanagan Symphony in Canada and numerous orchestras in the United States. Led by dynamic Music Director and Conductor Piotr Gajewski, the National Philharmonic is known for performances that are "powerful," impeccable" and "thrilling" (The Washington Post). The National Philharmonic boasts a long-standing tradition of reasonably priced tickets and free admission to all young people age 7-17, assuring its place as an accessible and enriching component in Montgomery County and the greater Washington, DC area. The National Philharmonic also offers exceptional and unique education programs, such as the Summer Strings and Choral Institutes. Students accepted into the Summer String Institutes study privately with National Philharmonic musicians, participate in coached chamber music and play in an orchestra conducted by Maestro Gajewski and Philharmonic Associate Conductor Victoria Gau. A free pre-concert lecture will be offered at 6:45 pm on Saturday, May 5 in the Concert Hall at the Music Center at Strathmore. To purchase tickets to the May 5 All Debussy concert, please visit www.nationalphilharmonic.org or call the Strathmore box office at (301) 581-5100. Tickets to the National Philharmonic concerts are $28-$81; kids 7-17 are FREE through the ALL KIDS, ALL FREE, ALL THE TIME program (sponsored by The Gazette). ALL KIDS tickets must be purchased in person or by phone. For more information, visit www.nationalphilharmonic.org. The Bach Sinfonia presents The Bohemian Baroque: Zelenka on Saturday, May 5th at 8 p.m. featuring the first performance since the 18th century of the complete cycle of the orchestral suites known as Capriccios by the Bohemian born composer Jan Dismas Zelenka (1679-1745). Played on period instruments by the Bach Sinfonia, joined by two of the most in demand soloists on natural horn, R.J. Kelley and Alexandra Cook, these works are colorful and virtuosic. While similar to the Brandenburg Concertos, the soloistic demands of these concerti surpass the better-known works by Bach. A free pre-concert discussion precedes this and all Bach Sinfonia performances at 7:15 PM led by Daniel Abraham. Little is know about Zelenka's life as a composer working in the Catholic Court of Dresden. No memoirs or letters from Zelenka survive and only a few documents regarding his personal life have been recovered. Only recently have scholars begun to examine Zelenka's rich output and his place within the extremely colorful and imaginative school of Dresden's musical Baroque. Zelenka's music is representative of the pinnacle of high Baroque art—it demonstrates exceptional compositional technique, brilliant melodic inventiveness, and a shear uniqueness of style. His instrumental works, in particular, comfortably sit alongside those of his better-known European contemporaries: Telemann, Rameau, Handel, and J. S. Bach. The five Capriccios are Zelenka's most important cycle of orchestral compositions. As extended suites, they were likely composed as entertainments to follow par force hunting fêtes organized for the Electoral Prince Friedrich August I of Saxony. Allegorical features associated with the hunt became strong symbols within the Hapsburg court. Each Capriccio includes a pair of cornida caccia (hunting horns) as emblematic of the hunt and as an acknowledgment of the strong Viennese tradition of horn use. The passagework for the horns, particularly for the principal player, is remarkable and stalwartly virtuosic. There are few examples in the literature (Baroque or beyond) that impose the same demands on the horn players. Even Bach's well-known "Brandenburg" Concerto No. 1, while undeniably demanding, does not call for the dexterity, stamina, and extreme clarino (high register) playing that Capriccios require from the horns. Equally at home on the concert stage as he is gigging with CeeLo Green, R.J. Kelley, a premiere natural horn specialist, was recently hailed in the Horn Call (Journal of the International Horn Society) as performing "with virtuosity, precision, and a stylistic mastery that could be matched by few, surpassed by none." A member of Philharmonia Baroque Orchestra since 1982, Kelley is a horn player of unusually broad musical scope, equally at home as soloist (Philharmonia Baroque Orchestra, American Classical Orchestra, Santa Fe Pro Musica), chamber musician (Manhattan Brass, Smithsonian Chamber Players, Aspen Wind Quintet, Universal Piston), orchestral performer (New York Philharmonic, Orpheus, American Ballet Theater, Gotham Opera, Mostly Mozart), recording artist (Mozart Concerti on natural horn, Grammy-nominated Das Lied von der Erde – Mahler/Schoenberg reduction), and educator (artist faculty, Julliard School of Music; guest teacher/lecturer: Yale University; Hartt School of Music; SUNY Stony Brook; Washington University; San Jose State University). He has participated in music festivals worldwide (Edinburgh, Berkeley, Boston, and Bloomington Early Music festivals; Montreux-Detroit, Sacramento, and Mammoth Lake Jazz festivals; Mostly Mozart, Lincoln Center, Washington Square Park), has made appearances on "Saturday Night Live," the "Today Show," "Late Night with David Letterman," and has recorded over 70 CDs (Philharmonia Baroque, New York Philharmonic, Manhattan Brass) and films (Casanova, Snake Eyes). His commercial credits include artists ranging from Jimmy Page and Puff Daddy, to Johnny Mathis, Little Anthony and the Imperials, the Killers, Chuck Mangione, and CeeLo Green. A Detroit native and founding member/past president of the Detroit Waldhorn Society, he has resided in the New York City area since 1989. Alexandra Cook has been playing horn in the New York metropolitan area for the past twenty-five years. She started her career as a chamber musician playing with the award winning woodwind quintet Vox Nova. 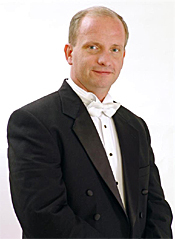 Cook has performed with Orchestra of St. Lukes, Orpheus Chamber Orchestra, New York City Opera, Brooklyn Philharmonic, American Composers Orchestra and Riverside Symphony, and has held positions with the Northeastern Pennsylvania Philharmonic, New Haven Symphony, and Orchestra of New England. Cook has also played numerous Broadway shows including Gypsy, Secret Garden, The Who's Tommy, The King and I, Titanic and is currently a member of the Lion King Orchestra. As a student studying horn and performance practice at SUNY Purchase, Cook pursued her interest in original instruments and has been an active member of the period instrument movement from the beginning of her career. On period instruments, Cook has performed and recorded with many early music ensembles; American Classical Orchestra, Philharmonia Baroque, Smithsonian Chamber Music Society, Amor Artis, Apollo Ensemble, Concert Royal, REBEL Baroque Orchestra, Trinity Baroque Orchestra, New York Collegium and American Bach Soloists. Her recording with the American Classical Orchestra Recording of the Beethoven Sextet and Septet, were called "wonderful buoyant performances" and "the best performance now available" by American Record Guide. The Bach Sinfonia is a Maryland-based organization dedicated to excellence in performance and public education of Baroque and Classical music. Lead by Conductor and Artistic Director Daniel Abraham, the ensemble is now in its 17th season of presenting an annual series of unique concerts, open dress rehearsals, and listening lectures of music from the seventeenth and eighteenth century. Sinfonia strives to create programs that differ from the standard classical music concert with performances that aren't just listening entertainments but are also learning experiences. Music of Mozart, Lanner, and Strauss Sr. Nikolaus Harnoncourt, Concentus Musicus Wien. Sony Classical 88697914112 (2-disc set). 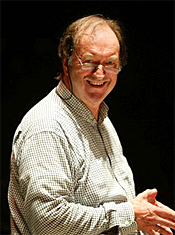 Austrian conductor Nikolaus Harnoncourt and his wife, violinist Alice Harnoncourt, formed the Concentus Musicus Wien in 1953, making it the oldest period-instruments ensemble still performing. 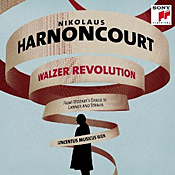 Harnoncourt is principally responsible for the whole period-instruments, period-practices movement we enjoy today, so we have to pay attention when he produces any new recording, such as this two-disc set titled Walzer Revolution. The idea behind the album is to explore the origins of the dance we now know as the waltz. No, like most musical forms, the waltz did not spring forth in full bloom as it exists in these times. Instead, the waltz has it roots in the formative musical models devised by people like W.A. Mozart, Johann Strauss Senior, and Joseph Lanner, the composers represented in this set. Presented in a more-or-less chronological order, the tracks on the two discs chronicle the development of the waltz from the late eighteenth century through the first half of the nineteenth. You'll find no Blue Danube here; that came much later. These are historically informed performances of much earlier music. The first disc begins with three pieces by the fellow who seems to have popularized so much in the music world, our good Austrian friend, Wolfgang Amadeus Mozart (1751-1791): Kontretanz No. 1 KV 603, Kontretanz No. 1 and 4, KV 609, and Sech Deutsche Tanze, KV 571. The first examples of contredanses don't seem to have a lot to do with modern waltzes, but listen closely and you'll hear the familiar lilting cadences developing. While the six German dances that ensue have an especially "Turkish" flavor to them that Mozart apparently intended in disdain of Turkey (Austria was at war with Turkey at the time), these days we find them delightful. Harnoncourt follows the Mozart pieces with music by Johann Strauss the Father (1804-1849), starting with the familiar Radetzky March. Only, like most of the music here, it isn't quite as we might remember it. You see, Harnoncourt plays all the music in the set from original manuscripts, some of the pieces getting world-premiere performances. The conductor plays the march with great fervor, using the earliest sources. Its connection with the waltz form, though? Tenuous at best. Not so, however, with the more obvious Strauss Sr. choices: the Chain Bridge Waltz, the Shepherd's Quadrille, the Carnival in Paris, and the captivating Paganini Waltzes. All of these Strauss pieces sparkle with a luminosity that is hard to resist, especially the Paganini. Disc two contains nine dances by yet another Austrian composer, Joseph Lanner (1801-1843), a direct rival of Strauss Sr. in the early nineteenth century. Together, the two composers pretty much set the pattern for and cornered the market on both danceable and concert waltzes. Lanner's melodies are, if anything, even more charming than Strauss's, beginning with the Pas de Neuf nach Saverio Mercadante with its wonderfully light gait. Hexentanzwaltzer is also a fascinating piece of business, and the concluding Die Schonbrunner Waltz sounds as though Strauss Jr. had written it. It's all quite pleasant, and, done up on period instruments and played from period manuscripts, quite enlightening. Sony recorded the Concentus Musicus Wien at the Musikverein, Vienna, Austria, in June of 2011, and the sound they obtained is excellent. Dynamic contrasts are strong; the stereo spread is wide; transient response is quick, particularly during drum attacks; and highs appear well extended, the triangle ringing out clearly and cleanly. The miking is moderately close up, providing good detail but not the best sense of orchestral depth. And there is a slight forward edge to the upper midrange. Nevertheless, the sonics are quite robust, exhibiting a nice resonant air to the acoustic, and when you consider the exuberance of the playing, the result is very attractive, indeed. The "however" in all this is that Harnoncourt is not the first musician to have essayed the development of the waltz through Strauss Sr. and Lanner. Other groups, like the Biedermeir Ensemble Wien (a quartet recording on Denon), have made similar recordings that include many of the same pieces of music. Still, Harnoncourt's historical approach is different from most of the rest, so perhaps the point is moot. Also, Symphonic Sketches. 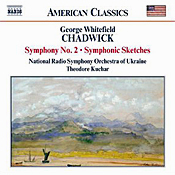 Theodore Kuchar, National Radio Symphony Orchestra of Ukraine. Naxos 8.559213. I've read that around the turn of the twentieth century George Whitefield Chadwick (1854-1931) was America's most-prominent composer. Hard to believe, considering that today most ardent music lovers have hardly encountered him and that almost everybody else has never heard of him. The fact is, he didn't have a lot of competition around that time, with George Gershwin, Aaron Copland, Samuel Barber, John Cage, Walter Piston, Ferde Grofe, Virgil Thomson, and the rest coming after him. Chadwick was a conservative neo-Romanticist whose main rivals at the time seem to have been John Philip Sousa in an entirely different medium; the more progressive Charles Ives, whom hardly anyone could understand; and Edward MacDowell, an old-timer by then. This Naxos issue couples two of Chadwick's most-popular pieces, the Second Symphony and the Symphonic Sketches on the same disc. Both of them are lightweight stuff, to be sure, but of the two works, it's the Symphonic Sketches that shows the most spark, at least under Maestro Theodore Kuchar and the National Radio Symphony Orchestra of Ukraine. The Symphony No. 2 begins in a rather lackadaisical fashion, no matter what Maestro Kuchar and his players try to do with it; but it soon picks up with a bouncy little Scherzo, a Mendelssohnian ditty that the composer introduced on its own and we often hear played by itself these days. There follows a solemn, drowsy slow movement that builds to a grand climax and a Finale that is quite jaunty, if still featherlight. The more-provocative Symphonic Sketches really work like a small symphony, divided into four brief tone poems: "Jubilee," a bombastically festive piece; "Noel," a slow, tranquil movement; "Hobgoblin," the most creative composition on the disc and very reminiscent of Mendelssohn again or Mussorgsky; and "A Vagrom Ballad" ("Vagrant's Song"), a kind of impressionistic, tongue-in-cheek affair. Conductor Kuchar's way with things is to let them all unfold at their own pace, with, as I say, the "Hobgoblin" the most atmospheric. The sound the Naxos engineers provide seems oddly bunched up in the center of the soundstage and lacks a real dynamic punch. Otherwise, the sonic presentation serves the music well, being slightly lightweight itself. Paul Hillier, Theatre of Voices; Ars Nova Copenhagen; Christopher Bowers-Broadbent, organ; NYYD Quartet. Harmonia Mundi HMU807553. Estonian composer Arvo Part (b. 1935) has long been a force unto himself. 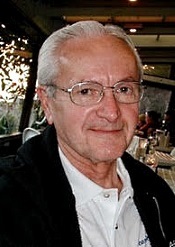 A writer largely of sacred music, he most often follows a minimalist course, not only observing the manner of Gregorian chant but using a compositional approach he devised himself, which he calls tintinnabuli, Latin for "bells." Remember the "tintinnabulation" in Poe's "The Bells"? Same kind of thing, if not so obvious. Despite (or perhaps because of) the oddities of his compositions, Part has become one of the leading composers of the past forty years. I know there are some critics who are immune to what they may consider the repetitious ruminations of Mr. Part's New Age spirituality, but I admit a liking for the man's approach, combining as it does ancient tunes and texts with modern and inventive styles, rhythms, and tones. The fact is, this Part disc and many others get to me. The music is inspiring and dreamily poignant. 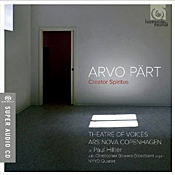 The present album, Creator Spiritus, is the 2012 product of conductor-director Paul Hillier and his Theatre of Voices, wherein Hillier has collected together some of Part's choral and instrumental chamber music drawn from different periods in the composer's career. The record jacket describes the music as "a powerful recording of ethereal sacred music," and I certainly won't argue the point. The program begins with "Veni Creator" ("Come, Creator Spirit," 2006). This brief selection for choir, organ, and chamber orchestra sets the mood for the album: Under Hillier and his forces, it is very solemn, very still, very placid, and very moving. Part based the second track, "The Deer's Cry" (2007), on a piece by St. Patrick from 433 A.D., and it is even more ethereal and uplifting than the first work. Hillier follows that with "Psalom," played by the NYYD Quartet. It is a leaner composition than the preceding items, the melodies haunting in their simple dignity and refined in their performance. I think you're getting the idea. Of the rest, "Most Holy Mother of God" (2003) for choir alone is among the most affecting and most-conventional sounding of the lot, although it uses a single line of text repeated over and over in minor variations. "Peace Upon You, Jerusalem" (2002), a setting for Psalm 122, also sounds fairly traditional yet contains more expressive moods than many of Part's other works. A booklet note for "Ein Wallfahrtslied" ("A Pilgrim's Song," 1984) struck me as curious. The note suggests "One can obtain an interesting overview of the music by using the fast forward button on a CD player." I'm not sure if the writer was kidding or not, but, well, yes, by fast-forwarding you would get an overview, while sort of missing the point of the music, no? The concluding work, "Stabat Mater" (1985) for quartet and voices, is by far the longest piece on the program. Part based it on the familiar medieval poem, and it demonstrates his use of "tintinnabuli" in the way the words fade into silence like the sounds of a bell. Obviously, this is sacred music for quiet contemplation, and as such I cannot imagine its being any better performed than here by Paul Hillier and his players. It's a lovely album. Harmonia Mundi recorded the music at Garnisonskirken, Copenhagen, Denmark, in June of 2010 for playback via hybrid stereo/multichannel SACD. As I usually do, I listened to the stereo layer using a Sony SACD machine, where I found the sonics warm, smooth, and resonant, yet with plenty of detail and realism. Because the music is principally gentle and otherworldly, there is little reason for a wide dynamic range or a sledgehammer impact. Nevertheless, the performances sound just right for the occasion, which is the main thing. Sometimes, depending on the need, there is more reverberation in the acoustic setting than at other times. Naturally, it would probably sound even more open, airy, and reverberant in multichannel; still, it sounds pretty good in two-channel stereo as well. Also, Beatrice et Benedict overture. 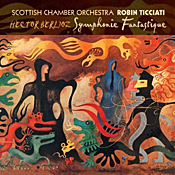 Robin Ticciati, Scottish Chamber Orchestra. Linn Records CKD 400. 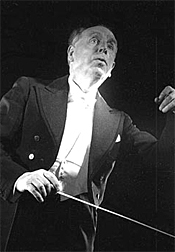 Most of my favorite conductors in the Symphonie fantastique over the years have been older folk, people like Sir Thomas Beecham, Leonard Bernstein, Sir Colin Davis, Leopold Stokowski, John Eliot Gardiner, Sir Roger Norrington, Charles Munch, and Jean Martinon. So I thought it might be fun to hear what a relatively young man, Robin Ticciati, in his mid twenties and his Scottish Chamber Orchestra could do with this well-traveled warhorse. It becomes doubly fascinating when you consider that Berlioz was about Ticciati's age when he wrote the piece. The composer, Hector Berlioz (1803-1869), wrote his Symphonie fantastique in 1830, and it wasn't long before it became one of the most influential pieces of music of all time. With programmatic elements of predecessors like Vivaldi's Four Seasons and Beethoven's Pastoral Symphony and using a huge orchestral arrangement for well over a hundred players (Berlioz employed about 130 musicians for the première), the result must have been extraordinary for its period. Yet the music remains extraordinary for our own time, too. In the work's five movements, the young Berlioz wrote autobiographically of the hopeless love of a young man for a woman, the young man falling into a drug-induced dream, which the composer describes in his music. The woman reappears throughout the Symphonie in the form of an idée fixe, a "fixed idea" the young man cannot shake, a musical innovation Berlioz used to advantage. Ticciati begins "The Reveries--Passions" slowly and builds the tensions incrementally, finally gathering up a good head of steam and arriving at a rather imaginative and effective climax before the music falls back into the distant mists of the composer's mind. Very nice. "The Ball" also holds up successfully, the waltz having an abundance of lilt and élan. If it's a tad more vigorous than we might usually hear it, chalk it up to youthful exuberance on Ticciati's part. The third-movement scene in the fields comes across with an appropriate air of serene, pastoral longing. This leads to the final two movements, which have given so many audiophiles delight over the years. In the "March to the Scaffold" the Scottish Chamber Orchestra does its best, yet there is no compensating for a full orchestra, and while they produce a commendably transparent sound, it isn't exactly the biggest sound needed in the music. Then, too, Ticciati seems more interested here in simply making the music exciting rather than particularly dramatic, sardonic, or amusing. Finally, we come to "The Witches' Sabbath," which under Ticciati is not quite as scary as Bernstein made it nor as creative as Beecham conjured it up. Still, it's fun in a more jaunty sort of way. It works well enough as parody, and again Ticciati provides loads of enthusiasm, making the ending as thrilling as ever. As a coupling, we get the Beatrice et Benedict overture, based in part on Shakespeare's Much Ado about Nothing. Berlioz called the music "a caprice written with the point of a needle." It's light, sweet, lively, and exuberant by turns. Made by Linn Records at Usher Hall, Edinburgh, UK, from October 7-11, 2011, for playback via hybrid stereo/multichannel SACD, the resultant sound is impressive largely because it's so lifelike. Using a Sony SACD player, I found the stereo layer produced a genuine sense of depth in the orchestra, a reasonably quick transient response, a strong impact (especially during those big bass wallops), ample clarity throughout the midrange, a wide stereo spread, and a fairly good extension of lows and highs. With plenty of warm, resonant air around the instruments, the sound is close to what a person might actually hear at a live event, at least as heard from a modest distance. Composer John Williams Celebrates 100th Anniversary of Fenway Park with Newly Composed "Fanfare for Fenway"
Williams led musicians from the Boston Pops Orchestra in a recording of tribute at Symphony Hall on Saturday, March 24. In celebration of the 100th Anniversary of Fenway Park, legendary composer and conductor John Williams has composed "Fanfare for Fenway," the maestro's special tribute to America's Most Beloved Ballpark during its centennial. The piece, just over three minutes long, was recorded Saturday, March 24, at Boston's Symphony Hall, and performed by musicians from the Boston Pops Orchestra with Williams conducting. Maestro Williams is a loyal and passionate fan of the Red Sox and Fenway Park, and his music has had a long-time connection to the team and ballpark. A portion of the 2005 Opening Day Ring Ceremony, celebrating the first Red Sox Championship in 86 years, was set to a John Williams medley that featured the "Main Theme" from Star Wars, "Raiders March" from Indiana Jones, and the "Theme" from Jurassic Park, performed by musicians from the Boston Pops. Williams' music was also featured prominently during the 2008 Opening Day Ceremony as players received their World Series Rings and the second World Championship banner in four years was hoisted to the composers "A Hymn To New England," performed by the Boston Pops Brass Ensemble. That opening ceremony also featured the "Main Theme" to Superman, "Throne and End Title" from Star Wars: Episode IV, and "Raiders March" from Indiana Jones. The Boston Pops and the Boston Red Sox have had a storied history of working together in recent years. In 2009, the Boston Pops Orchestra released The Red Sox Album, produced in conjunction with the Boston Red Sox and Major League Baseball, on opening day of the Red Sox 2009 season. In celebration of the release, Keith Lockhart and members of the Boston Pops were featured in a performance during the Red Sox opening day festivities. Boston Pops Laureate Conductor John Williams, Boston Pops conductor Keith Lockhart, and Boston Symphony Music Director Laureate Seiji Ozawa have also had the honor of throwing out the ceremonial first pitch at a Red Sox game. Additionally, various members of the Red Sox, both past and present, have appeared in performances at Symphony Hall including Manager Terry Francona and 1967 Cy Young Award winner Jim Lonborg. Various Pops ensembles have also performed at Fenway Park during some of the Red Sox' most memorable moments. On July 4, 2007, right in the middle of what would become a World Series-winning season for the Red Sox, Keith Lockhart led members of the Boston Pops in the "The Star-Spangled Banner." 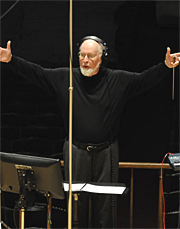 Later that fall, for Game One of the 2007 World Series, the ensemble returned to Fenway Park for another performance of the National Anthem, this time under the direction of John Williams. For more information about Fenway Park's 100th Anniversary, visit fenwaypark100.com. For information about the Boston Pops, visit bostonpops.org. This April, the Australian Chamber Orchestra, under the direction of Artistic Director and Lead Violin Richard Tognetti, will travel to North America for a 10-stop tour. The ensemble will hit major cities in the US and Canada with the final date of the tour culminating at New York's Carnegie Hall. Joining them will be world-renowned soprano (and recent Ojai collaborator) Dawn Upshaw and baritone Teddy Tahu Rhodes. The program for the tour features the works of modern masters, contemporary composers, arrangements of chamber works for string orchestra and small orchestral pieces. Mahler's "Adagietto" from Symphony No. 5, a veritable song without words, opens the tour with its haunting beauty and serenity. A featured piece on the tour is Grammy-winning composer Maria Schneider's "Winter Morning Walks," composed for Upshaw and the ACO. The work saw its U.S. premiere last summer at the Ojai Festival and will be recorded for ArtistShare in New York at the close of the tour. It is inspired by poetry by poet laureate and Pulitzer Prize-winner Ted Kooser, whose walks in the winter mornings during his cancer treatments led to a series of postcards to a friend in which he transforms common things and daily events into well-timed and expertly sculpted poems. The ACO also presents the innovative interweaving of four movements of George Crumb's "Black Angels" with Anton Webern's "Five Pieces for Orchestra," a juxtaposition described by the Los Angeles Times as "American angst stood its own against Viennese angst." String quartets find themselves in string-orchestra form as the orchestra performs Ravel's String Quartet in F Major in a transcription by Tognetti and Grieg's String Quartet in G minor. The Grieg is also featured on the ACO's new BIS recording being released on March 27th in time for the tour. Baritone Teddy Tahu Rhodes is the featured artist on Richard Rodney Bennett's "Songs for Sleep," a work consisting of six poems, all taken from the Oxford Dictionary of Nursery Rhymes. At concerts with Dawn Upshaw, the soprano will perform lieder by Schubert and Schumann.The ensemble also presents works by Elgar, Saxton, an early piece by Shostakovich and Schoenberg's monumental Transfigured Night. The National Philharmonic celebrates the music of Claude Debussy in a May festival at the Music Center, with companion Strathmore-presented events in the Mansion, marking the 150th anniversary of the birth of one of the most important French composers. The festival includes performances of Debussy's most popular orchestral, chamber and keyboard works as well as a Washington-area premiere of his magnificent large choral work, The Martyrdom of St. Sebastian. Debussy's works, like those of Impressionist painters, emphasize light and color and display the influence of the Symbolist poets' visionary images. Pre-concert lecture at 6:45 pm in the Concert Hall. Free pre-concert lecture with WETA's David Ginder at 6:30PM. This performance is presented by Strathmore as part of its Music in the Mansion series. Thursday, May 17, 7:30 p.m.
Free pre-concert lecture with WETA's David Ginder at 6:30 pm. Strathmore is an arts presenter and cultural destination that nurtures art, artists and community through creative and diverse programming of the highest quality. The Mansion at Strathmore is located at 10701 Rockville Pike, North Bethesda, MD, one half-mile north of the Capital Beltway and immediately adjacent to the Grosvenor-Strathmore station on Metro's Red Line. For further information or tickets, call (301) 581-5100 or visit www.strathmore.org . Led by dynamic Music Director and Conductor Piotr Gajewski, the National Philharmonic is known for performances that are "powerful," impeccable" and "thrilling" (The Washington Post). The National Philharmonic boasts a long-standing tradition of reasonably priced tickets and free admission to all young people age 7-17, assuring its place as an accessible and enriching component in Montgomery County and the greater Washington, D.C. area. Free pre-concert lectures will be offered at 6:45 pm on Saturday, May 5 and on Saturday, May 19 in the Concert Hall at the Music Center at Strathmore. To purchase tickets to the May 5 All Debussy and May 19 Martyrdom of St. Sebastian concerts, please visit www.nationalphilharmonic.org or call the Strathmore box office at (301) 581-5100. Tickets to the National Philharmonic concerts are $28-$81; kids 7-17 are FREE through the ALL KIDS, ALL FREE, ALL THE TIME program (sponsored by The Gazette). ALL KIDS tickets must be purchased in person or by phone. Tickets to Strathmore's Music in the Mansion concerts are $30. To purchase tickets to the Debussy Piano Recital on Thursday, May 10 and the Debussy Chamber Music concert on Thursday, May 17, please visit www.strathmore.org or call 301-581-5100. Conductors Nicholas McGegan, Guiseppe Finzi, Mark Morash and Gary Wedow lead performances this summer including Merola Grand Finale, Schwabacher Summer Concert, Mozart's La Finta Giardiniera and Dominick Argento's Postcard from Morocco. Twenty-three singers, five apprentice coaches and one apprentice stage director, representing eight different countries, will participate in the 55th season of the Merola Opera Program from May 28 to August 18, 2012. Almost 900 artists—a record number of applicants—vied for the 29 coveted spots in the 2012 summer program, which is offered free of charge for all participants. Selected through an extensive audition and application process, this season's artists come from eight countries: United States, Bulgaria, Canada, China, Italy, New Zealand, South Korea and Russia. The 2012 summer marks the Merola Opera Program's return to a full 12-week training program for the apprentice coaches and apprentice stage director (11 weeks for the singers) and a return to 29 artists. It will also be the first time in several years that the program will present two staged operas rather than one opera with two casts. Dominick Argento's Postcard from Morocco, directed by Peter Kazaras and conducted by Mark Morash, will be presented Thursday, July 19 at 8:00 p.m. and Saturday, July 21 at 2:00 p.m. at the Cowell Theatre at Fort Mason Center. W.A. Mozart's La finta giardiniera, directed by Nic Muni and conducted by Gary Wedow, will be presented Thursday, August 2 at 8:00 p.m. and Saturday, August 4 at 2:00 p.m. at the Cowell Theatre at Fort Mason Center. 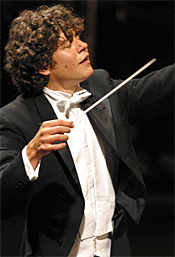 Performance is a key element of the program throughout the summer.Conducted by San Francisco Opera Resident Conductor Giuseppe Finzi and directed by Roy Rallo, the Schwabacher Summer Concert will feature extended scenes from diverse repertoire that spans classic Italian bel canto, French romanticism and a 20th century masterwork. The concert will be presented on Thursday, July 5 at 7:30 p.m. at the Herbst Theatre and on Saturday, July 7 at 2:00 p.m. in a free outdoor concert at Yerba Buena Gardens. The season concludes with the annual Merola Grand Finale, conducted by Nicholas McGegan, on the main stage in the magnificent War Memorial Opera House on Saturday, August 18 at 7:30 p.m.
Merola artists participate in master classes with opera luminaries such as Stephen Blier, Warren Jones, Martin Katz and Carol Vaness (Merola '76) along with SF Opera Center Director of Musical Studies Mark Morash ('87).Guest teachers such as Alessandra Cattani, John Churchwell ('96), Susanne Mentzer, Robin Guarino, Peter Grunberg, and Patricia Kristof-Moy provide training in voice, foreign languages, operatic repertory, diction, acting and stage movement. One of the world's most prestigious young artist training programs, the Merola Opera Program was founded in 1957 and has since served as a proving ground for thousands of artists, including six internationally acclaimed singers appearing with the San Francisco Opera this summer: Quinn Kelsey ('02), Hye Jung Lee ('10), Simon O'Neill ('02), Nathaniel Peake ('08, '09), Alek Shrader ('07) and Chen-Ye Yuan ('98). "It should be a very exciting summer," said Opera Center General Director Sheri Greenawald. "We have an extremely talented and versatile group of artists this summer and we are thrilled to be able to showcase them in two really special operas and our very popular Schwabacher Summer Concert. We have some incoming tenors who specialize in high C's and some possible Helden singers, both of which should be exciting for Merola audiences." "We are thrilled that Merola continues to be such an international program, and that we consistently attract artists from all around the world," said Merola Opera Program Executive Director Jean Kellogg. "It is a testament to the quality of the program that each year even more artists, from the United States and beyond, want to be a part of the Merola Opera Program, and for the second year in a row we are very pleased to have received a record number of applications." For more information about Merola, please visit www.merola.org or phone (415) 551-6299. Tickets go on sale to Merola members March 15th. Tickets go on sale to the general public March 29th. A season discount of 10% applies through June 1 if tickets for the Schwabacher Summer Concert, Postcard from Morocco, La finta giardiniera and the Merola Grand Finale are purchased together. Tickets for all performances may be purchased by calling San Francisco Opera Box Office at (415) 864-3330: Monday 10:00 AM-5:00 PM and Tuesday through Friday 10:00 AM-6:00 PM. Led artistically by San Francisco Opera Center Director and internationally acclaimed soprano Sheri Greenawald, the Merola Opera Program is an independent nonprofit organization which operates in collaboration with the San Francisco Opera. Founded in 1957 and named for San Francisco Opera's founder, Gaetano Merola, the Program is recognized as one of the most prestigious operatic training programs in the world. The Merola Opera Program typically receives more than 800 applications for approximately 30 positions. Throughout the summer, the Merola artists participate in master classes and private coachings with opera luminaries. Participants – who include singers, apprentice coaches and an apprentice stage director--also receive training in operatic repertory, foreign languages, diction, acting and stage movement. All-Mozart opener followed by programs of Bach, Grieg, Mahler, Schubert, and more. The Woodstock Mozart Festival presents a season featuring Grammy Award-winning artists and three diverse concert programs July 28–August 12, 2012 at the Woodstock Opera House. Single tickets go on sale April 16. July 28 and 29: Popular Chicago keyboard artist David Schrader plays and conducts from his instrument an all-Mozart opening program including Symphony No. 29, K. 201; Piano Concerto No. 8, K. 246 Lützow; and Piano Concerto No. 9, K. 271 Jeunehomme. Using a "Concert with Conversation" format, Schrader will speak to the audience between selections. August 4 and 5: Violinists Igor Gruppman (who also conducts) and Vesna Gruppman perform Bach's Concerto for Two Violins, BMV 1043; Grieg's Holberg Suite; Mahler's Adagietto for Strings and Harp; and Arnold's Concerto for Two Violins, Op. 77—the latter earning them a Grammy Award. A world-renowned artistic team, the Gruppmans live in Rotterdam, Holland, where he is concertmaster of the Rotterdam Philharmonic. August 11 and 12: Popular Dutch conductor Arthur Arnold returns to lead a program, featuring former Chicago Symphony principal oboist Alex Klein, including Pleyel's Symphony No. 1, Op. 3; Mozart's Oboe Concerto, K. 314 (285d); Schubert's Symphony No. 5, D. 485; and Choro no Capricho, a choro version of Paganini's 24th Caprice, arranged for oboe by Alex Klein. The 2012 Woodstock Mozart Festival takes place July 28–August 12, Saturdays at 8 p.m. and Sundays at 3 p.m. at the Woodstock Opera House, 121 Van Buren Street, Woodstock. Pre-concert introductions take place one hour before each of the performances August 4, 5, 11 and 12. Tickets are $30–52, $25 for students, per program. Single tickets go on sale April 16 through the Woodstock Opera House Box Office at 815-338-5300 or at woodstockoperahouse.com. For more information about the Festival, visit mozartfest.org. The Woodstock Mozart Festival's first performances took place in 1987 at the restored 1880s Woodstock Opera House in an environment reminiscent of Mozart's day. From the beginning, the Festival showcased internationally recognized guest artists and conductors during its three weekends of concerts in late July and early August. The Festival's goal is to maintain a superb orchestra that delivers extraordinary performances to inspire and educate audiences of all ages under the banner "Mozart…and More!". The Woodstock Mozart Festival is a member of the League of American Orchestras and the Illinois Arts Alliance. Funding is provided by the Illinois Arts Council, the Gaylord and Dorothy Donnelley Foundation, the Arts Work Fund for Organizational Development, the MacArthur Fund for Arts and Culture, the AptarGroup Charitable Foundation and private and corporate contributions. Music Director Nadja Salerno-Sonnenberg and the New Century Chamber Orchestra mark the end of their 20th Anniversary Season May 10-13 with the world premiere of Commedia dell'Arte by Pulitzer Prize-winning composer Ellen Taaffe Zwilich. A bravura violin concerto, Commedia dell'Arte is written specially for Nadja Salerno-Sonnenberg as part of the Featured Composer program established in her first year as Music Director. Inspired by the Italian tradition that began in the sixteenth century, Commedia dell'Arte features four movements that are based on characters from the Italian comedy – "Arlecchinno", a movement that is childlike and amorous meant to represent the comic servant; "Columbina", a work that is clever and complicated representing the flirtatious mistress; and "Capitano", a bold swaggering movement meant to portray the showy and cowardly Captain – with a "Cadenza and Finale" that brings them all together. The program also includes Schoenberg's Verklärte Nacht, a string sextet inspired by Richard Dehmel's love poem as well as Schoenberg's own feelings upon meeting his wife, and Grieg's Holberg Suite, a suite of five movements based on eighteenth century dance forms. Heidrich's Happy Birthday Variations – a suite of variations on the well-known Mildred J. Hill tune of Happy Birthday based on the composing styles of Bach, Beethoven, Mozart, Wagner and more – completes the program. Each of the four performances will be followed by a Q&A with Ellen Zwilich and Nadja Salerno-Sonnenberg. New Century will give four Bay Area performances of the program on Thursday, May 10 at 8pm, First Congregational Church, Berkeley; Friday, May 11 at 8 p.m., Menlo-Atherton Center for Performing Arts, Atherton; Saturday, May 12 at 8 p.m., Herbst Theater, San Francisco; and Sunday, May 13 at 8 p.m., Osher Marin Jewish Community Center, San Rafael. New Century also offers an Open Rehearsal at 10 a.m. on Wednesday, May 9 in Herbst Theater for a price of only $8.00. The Saturday, May 12 program at Herbst Theater will feature a special tribute to outgoing Board President Paula Gambs, who has lead the organization since its inception twenty years ago. Ellen Zwilich is the featured composer for the 20th Anniversary Season, a program established by Nadja Salerno-Sonnenberg in her first season as music director to commission new works for the chamber ensemble. "I have long been an admirer of Nadja's musically insightful and dramatically fiery performances," Zwilich explains. "So it was a great pleasure to craft this work for her. I also took advantage of the spirit of the New Century Chamber Orchestra by calling for some of the string players to play percussion instruments traditionally associated with the characters." Ellen Taaffe Zwilich's Featured Composer Residency is made possible by the Clarence E. Heller Charitable Foundation. Ellen Zwilich emerged in the last two decades of the twentieth century as one of the most recognized and sought after composers in the classical music world. A prolific composer in virtually all media, Zwilich's works have been commissioned and premiered by many of the leading American orchestras and by major ensembles abroad including the New York Philharmonic, Boston Symphony, San Francisco Symphony and Chicago Symphony, to name a few. As The New York Times warmly noted, "She writes in idiosyncratic style that, without ostentation or gimmickry, is always recognizably hers." Born in Miami, Florida, Ellen Zwilich studied violin at Florida State University and later at The Julliard School where she was the first female to receive a doctoral degree in composition. A recipient of numerous prestigious awards, Ellen Zwilich was the first female recipient of the Pulitzer Prize in Music, named the first Composer's Chair in the history of Carnegie Hall, and designated Musical America's Composer of the Year for 1999. Along with her numerous orchestral commissions and awards, Zwilich's work has been featured in two PBS television shows and issued on many recordings. 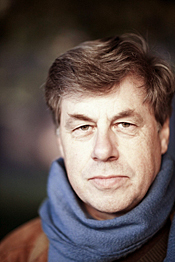 Some of Zwilich's recent works include: a Septet for Piano Trio and String Quartet commissioned for the Kalichstein-Laredo-Robinson Trio and the Miami String Quartet; a Quintet for Violin, Viola, Cello, Contrabass and Piano commissioned for the KLR Trio and friends; and an international consortium commission titled Shadows for Piano and Orchestra. 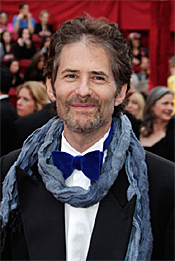 Music composed and conducted by James Horner. Also, Gentlemen, It Has Been A Privilege Playing with You Tonight. Original motion picture soundtrack and I Salonisti. Sony 8869191475 2 (2-disc set). I don't usually listen to or review movie soundtrack recordings because I generally find them dull and repetitive. 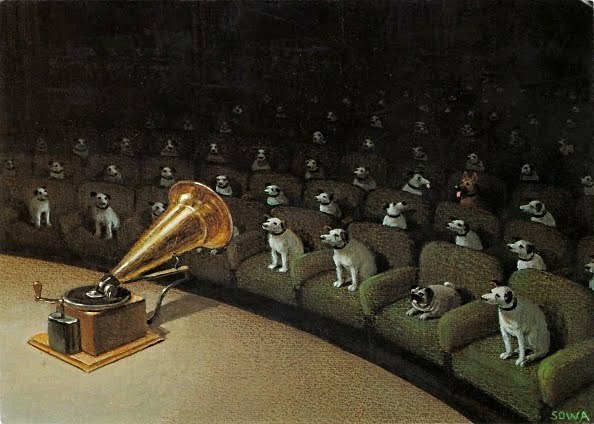 Motion picture music is fine in a motion picture, where it belongs, but it doesn't often work in isolated bits and pieces. 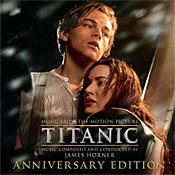 However, I did enjoy this two-disc, 2012 "Anniversary Edition" of music from James Cameron's 1997 Titanic. The first disc contains music composed by James Horner for the film, and a second disc contains salon music of the era from the ensemble I Salonisti. For anyone touched by the film, and that would be millions of people, this new set commemorating the one-hundredth anniversary of the ship's sinking (and the fifteenth anniversary of the movie) should move them even further. And it doesn't hurt that at about this time Cameron re-released the movie in 3-D. The first disc sets the mood from the beginning with some of the movie's most-familiar music. There follows a series of diverse offerings--vocal, orchestral, and instrumental--that pretty much encapsulate the plot of the story. A few of the highlights include "Leaving the Port," "Unable to Stay, Unwilling to Leave," "A Life So Changed," the Celine Dion best-seller "My Heart Will Go On," and the concluding number, "Hymn to the Sea." There are fifteen tracks in all, and fans of the film will no doubt find them gratifying, if only for nostalgic reasons because they remind them of the movie. It's the second disc that appealed to me more, titled "Gentlemen, It Has Been a Privilege Playing with You Tonight." It includes songs that the Titanic's salon orchestra might have played on that fateful night, a collection of pop and classical tunes popular at the time. Survivors of the disaster differ on what song the ship's band played as she went down; tradition has settled on a sentimental favorite, "Nearer My God To Thee," but it was more likely "Alexander's Ragtime Band," a number-one hit of the year before the sinking, or possibly "Song of Autumn." The album gives us all three songs, played by the salon orchestra I Salonisti, which consists of five players: two violins, a cello, a double bass, and a piano. I Salonisti not only play the music for the film, they play the players themselves. They are an elegant and refined group, and their renditions of well-known classics like Strauss's Blue Danube, Suppe's Peasant and Poet, and Offenbach's Barcarole are especially welcome. Lest the audiophile be worried about the sound, let me assure you that these discs are a cut above most soundtrack recordings. The London Symphony carries out the orchestral chores on disc one, the music recorded at Air Studios Lyndhurst Hall, London, in 1997, and originally mastered at Abbey Road Studios. Moreover, for this 2012 special edition, Sony remastered the sound of the first disc, so the sonics no longer seem so recessed but come out sounding vivid and smooth. The disc uses its deep bass sparingly to good effect. Still, like most such pop and soundtrack albums, the perspective is fairly flat, with little sense of dimensionality or being at a live event. Of course, we're not at a live event; we're listening to a movie soundtrack. The second disc of salon music, though, sounds even better than the first disc, more natural and more realistic. I suppose we should expect more transparency from so much smaller an ensemble. Nevertheless, there still isn't a lot of air around the instruments, so, yes, while it sounds more lifelike than the first disc, it also sounds rather one dimensional. It's just that with only five players, it doesn't make much difference. It's hard keeping a dry eye listening to this stuff, particularly by the last number, so it's no wonder the film made as much money as almost anything Hollywood has ever produced. It probably works best if you've seen the film, but even if you haven't, this partially remastered set is a poignant experience. The folks at Sony do a good job packaging the discs, too, using a double jewel case and a handsome, stiff-cardboard slipcover. Within the case, you'll find not only an informative booklet but a set of paper drink coasters and luggage tags with various "Titanic" emblems on them. Nicely done.